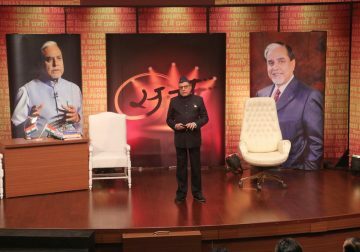 In this episode of Subhash Chandra Show, held at the Maharaja Agrasen College in Delhi, Shri Subhash Chandra speaks about the need for change and the outlook of positive people vis-à-vis negative people. “Is there a need to change? Do you feel that ‘I need to change’? 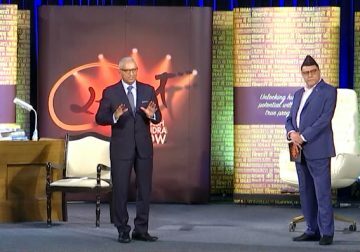 Why do you feel that you need to change?” Subhash Ji questions the audience. 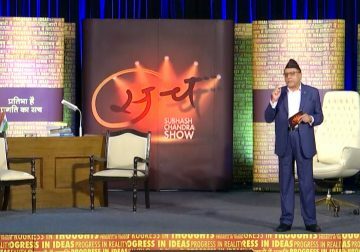 The people present respond to his questions with different viewpoints, and an audience member says that an individual needs to change to adapt to his changing goals and progress. 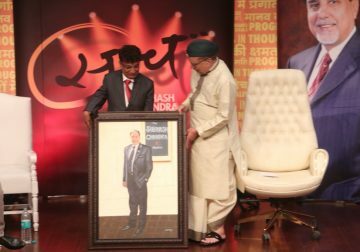 This thought is echoed by Subhash Ji, who reiterates that “Change is a constant, and nothing is permanent”. He also speaks about how there is a need to control how we react to a situation. “Stop reacting and change the way you react in order to be successful,” he says. He highlights the six touch points on the basis of which we react to an individual or situation. He talks about why we need to change our mindset. 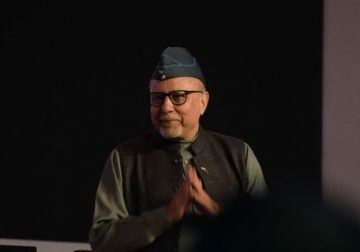 Subhash Ji questions, “What is the art of living?” He answers the question for the audience, saying that the art of living is “living in the present”. The two important points are: Don’t react, and live in the present. 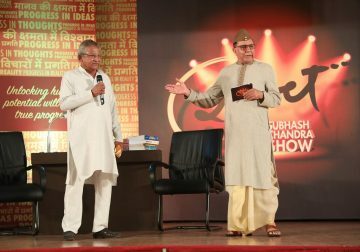 The special guest on the show is Shri Chiranjeev Lal Gupta, an 81-year-old social worker who helps poor patients outside the AIIMS Hospital in Delhi. He tells the story of his journey from being a businessman to a social worker. 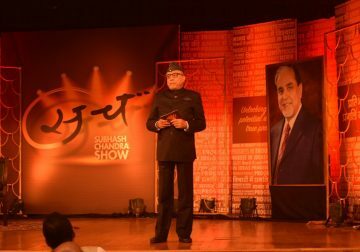 The other guest on the Subhash Chandra Show is Smt Suman Nalwa, DCP, Principal, Delhi Police Training School. She emphasises the need for a “directional approach” to change. She also reveals that because of her job profile, she suffered from a lot of diseases in the past. That is when she began practising Yoga and also kept track of her thoughts with the help of an alarm system. She guides students by saying that one has to choose to either tide over the challenge or simply change the path. 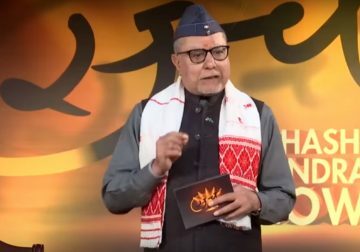 Subhash Ji and Suman Ji enlighten people about fear. Subhash Ji concludes the show by summarising the learning in a manner that the young students will understand, saying, “In speaking about it in today’s language, become a smartphone and not an old feature phone.” Shri Nand Kishore Garg, the Chancellor of the Maharaja Agrasen Institute of Technology, speaks about positivity in the country and proposes the vote of thanks. The original episode aired on May 13, 2017.